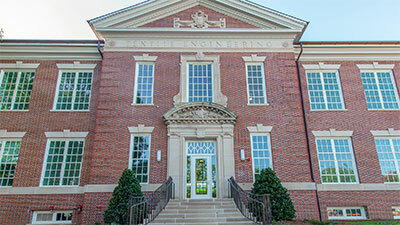 Auburn Engineering has a long and rich tradition of excellence in engineering education. We are the highest ranked engineering program in the state, and consistently rank among the top institutions in the country. 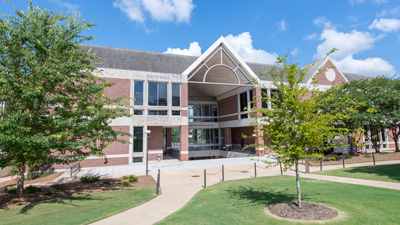 Our college produces more than one third of Alabama's engineering graduates and our prominent alumni include four astronauts and Tim Cook, CEO of Apple, Inc.
Our students make the difference in the College of Engineering. 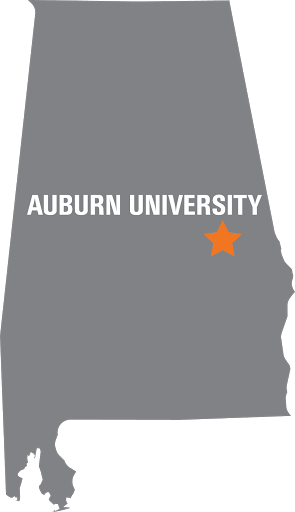 We represent the largest college on Auburn University's campus with approximately 5,000 undergraduate and 900 graduate students. 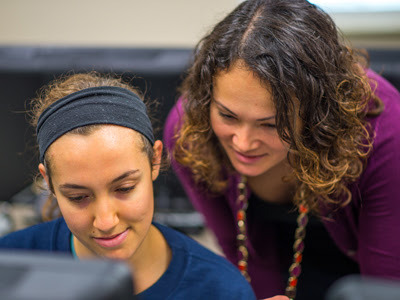 We cultivate an environment that puts an emphasis on fundamentals, hands-on engineering and a strong work ethic that sets Auburn Engineering graduates apart as leaders in the workplace and the community. Following our vision to provide a dynamic faculty that exemplifies excellence in education, these individuals are what create the highest-quality education to our students. 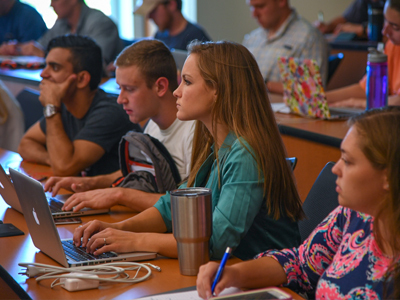 Our faculty constantly raise the bar for our students to be better in the classroom and industry. Because of our faculty, students are knowledgeable and prepared to enter the work force to meet tomorrow's engineering challenges. 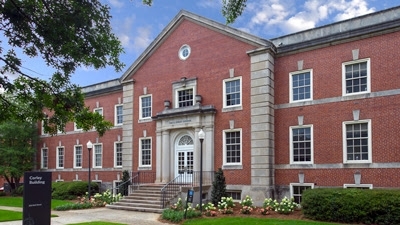 Broun Hall houses the Department of Electrical and Computer Engineering. The Brown-Kopel Engineering Student Achievement Center will serve as an active-learning center in 2019. 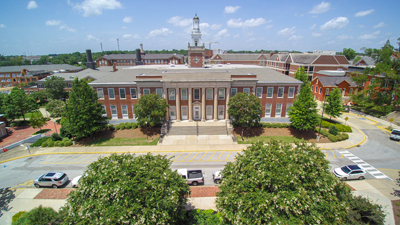 Davis Hall serves as the home to the Department of Aerospace Engineering. 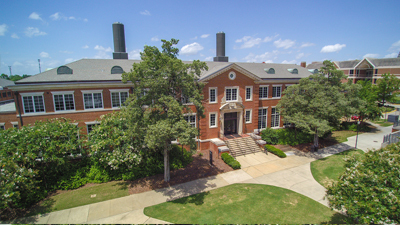 Corley Hall houses the Department of Biosystems Engineering. The Gavin Engineering Research Laboratory will include new research laboratories and state-of-the-art technologies. 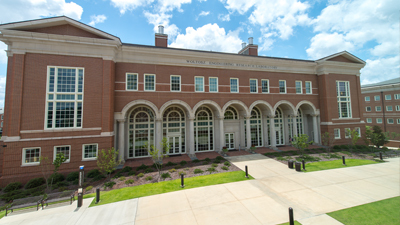 The Harbert Center houses the Department of Civil Engineering. 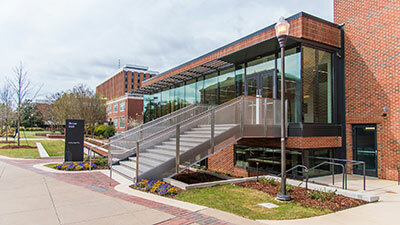 The Auburn MRI Research Center houses 3T and 7T MRI scanners, along with a wet lab and educational training center. 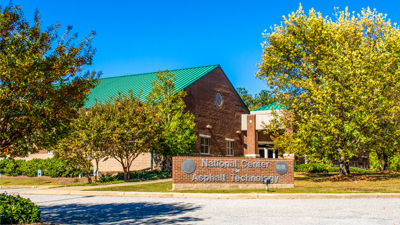 The National Center for Asphalt Technology houses the NCAT Test Track and conducts research, education and outreach related to asphalt pavements. 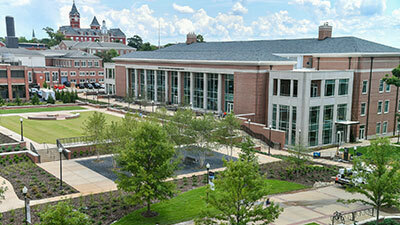 Ramsay Hall includes Auburn Engineering's online and continuing education programs, and classrooms. 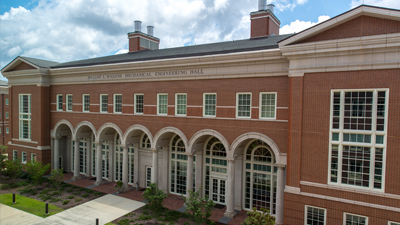 Ross Hall is the home of the Department of Chemical Engineering. 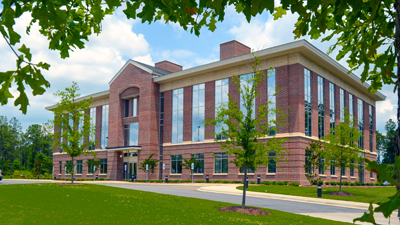 The Shelby Center for Engineering Technology complex houses the departments of computer science and software and industrial and systems engineering, student services and administrative offices. 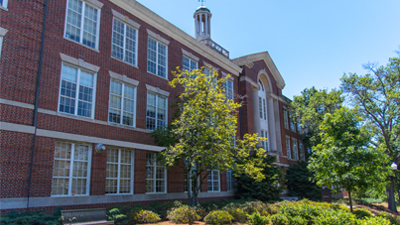 Wiggins Hall is the home of the Department of Mechanical Engineering. 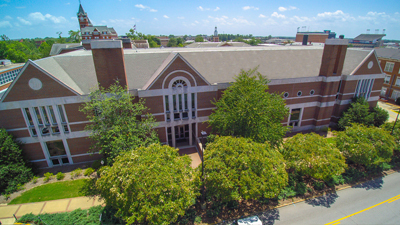 Wilmore includes laboratories for several academic departments. The Woltosz Engineering Research building includes laboratories and administrative offices. Each year, we recognize outstanding faculty and students who are making a difference in our college through our awards program. 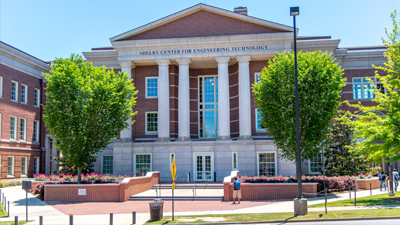 From scholarship to research opportunities Auburn Engineering is proud to recognize and aid individuals who represent our vision of being the best student-centered engineering experience in America. Samuel Ginn, a native of Anniston, Alabama, is a 1959 graduate of Auburn University's College of Engineering, and was awarded the institution's honorary doctorate in 1998. He was inducted into the State of Alabama Engineering Hall of Fame in 1992. Ginn also served on the university's board of trustees from 2005-2013. Ginn has more than four decades of experience in the telecommunications industry. Following his service with the Army Signal Corps, he built a 27 year career with AT&T beginning as a student engineer in 1960. He rose through the ranks in management and operations, and in 1977 was appointed vice president of network operations for AT&T Long Lines. After the Bell Systems breakup, Ginn joined Pacific Telephone in 1978 as vice president–Los Angeles, going on to serve as chairman and CEO of Pacific Telesis from 1988 until 1994. When he resigned, Ginn launched AirTouch, an early pioneer in the cellular industry that went public in 1994 with an IPO of $10 billion. In 1999, the company was sold for $65 billion to Vodafone where Ginn assumed the position of chairman in the United Kingdom. During his tenure, Vodafone merged with Verizon to create Verizon Wireless, the largest wireless telecommunications network in the U.S. Ginn retired from Vodafone in 2000. Ginn serves on the boards of the Franklin Templeton Fund and ICO Global Communications. His past corporate board memberships have included CH2M Hill, First Interstate Bank, Pacific Telesis Group, Safeway, Transamerica Corporation, Vodafone, AirTouch Communications, Chevron Corporation, Hewlett-Packard and the Fremont Group. He has also served as chairman of the California Business-Higher Education Forum, the California Business Roundtable and the Committee on Jobs, and is an overseer at the Hoover Institute in Palo Alto, as well as a Sloan fellow at Stanford University's School of Business. An investor and advisor to several start-up companies in telecommunications, Ginn is the namesake for the Samuel Ginn College of Engineering at Auburn University. 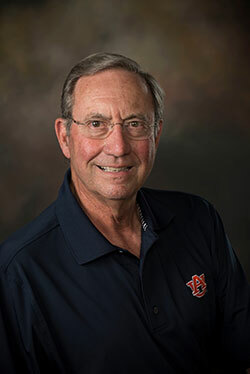 He has served as the impetus behind the wireless engineering degree program at Auburn and continues his involvement with the institution through its wireless advisory board. As part of its philanthropic activities, the Ginn Family Foundation supports merit scholarships within the college. Married to Ann Vance Ginn, they have three children and six grandchildren.